Luke and Jed did their best to recap an incredible weekend of racing from across the country. Jake Howard and Mikie Sturgill headlined a weekend chalk full of E.T. Finals action with rare doubles. Cory Gulitti and Andy Schmall showed out in big dollar bracket competition. We’ve got new national points leaders in two NHRA categories. Lots to talk about – plus potentially the most memorable Luke rant/tangent to date. 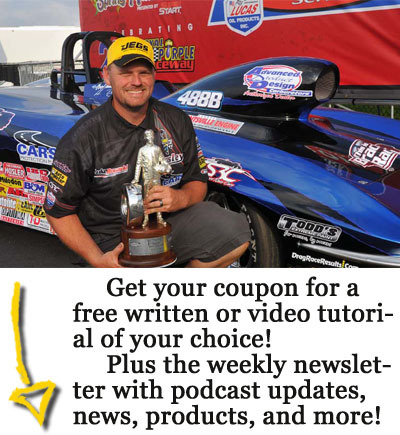 That and more on one long episode of the Sportsman Drag Racing Podcast! You're already subscribed, thanks! You're one step closer to Becoming a Better Racer! 121: Racing from Coast to Coast and NCAA Bracket Time!